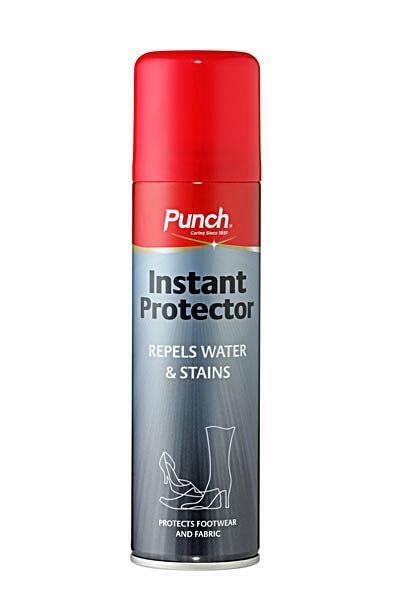 Punch Instant Protector provides an invisible protective barrier to keep your shoes looking good for longer. Protecting against rain and guarding against stains, it’s suitable for use on all colours of leather, suede, nubuck and fabric. Not for use on patent leather or sheep skin. Remove any surface dirt or dust. Shake well and spray onto surface from a distance of 20cm. Allow to dry for 3 minutes. Shipping is not allowed to East Malaysia.